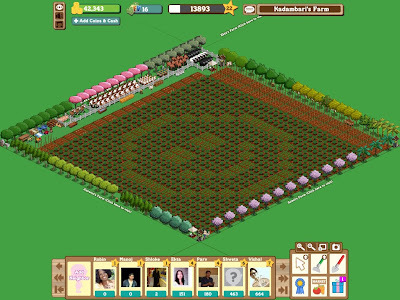 Home » art , art-I-made , FarmVille » Smile for You! O Wow! That's damn creative!! Planted 2 different crops in that pattern, making sure that both harvested at the same time. Thanks Tang! :D Aren't u on FaceBook? very creative farming!! enjoy!! Thanks for the award..will put it up soon!! Hey I am on facebook too...and so so addicted to Farmville ki main kya kahun! Arre why didn't u tell me before? What are u waiting for then? Add me na! Jaldi se!